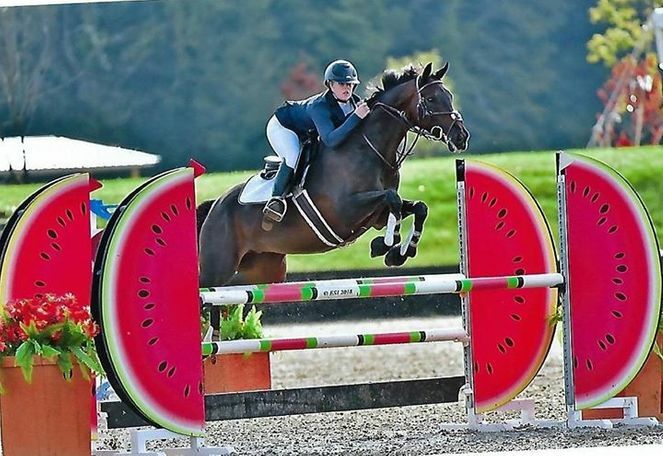 Aladdin is a 16.1hh 9 year old dark bay TB gelding currently showing in the high ch/aa jumpers. 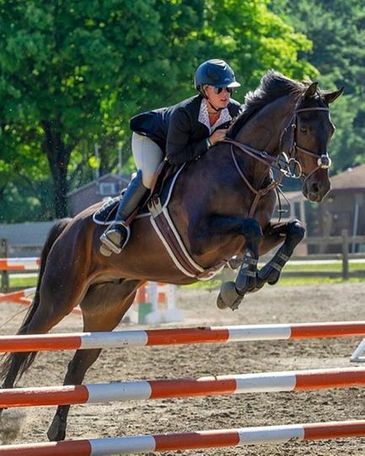 We purchased him from the track 4 years ago and he has become a very brave competitive jumper that takes you to the jump (not a push ride). 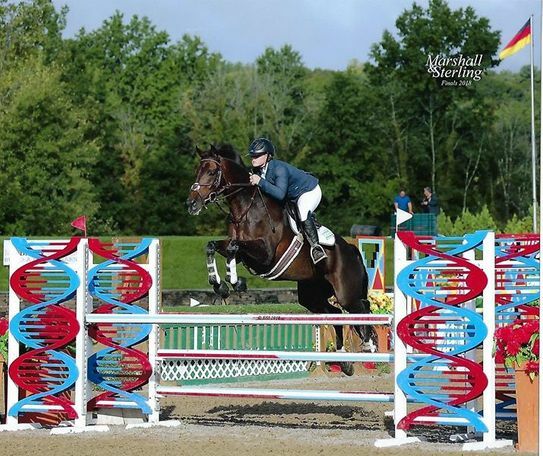 This past show season he has taken a rider that was new to showing in the jumpers from Level 1s to competing at A-rated shows in the high ch/aa jumpers. 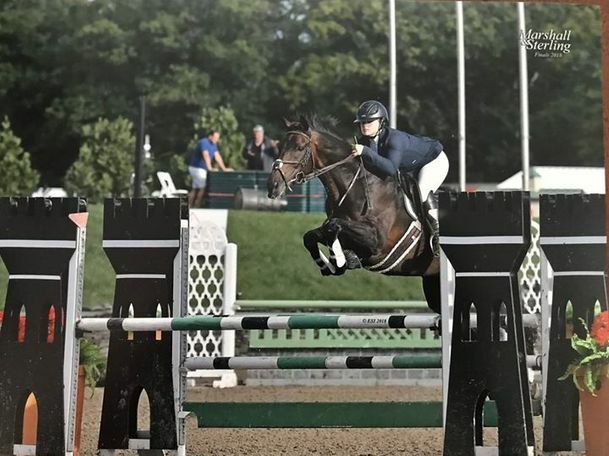 Both Aladdin and his rider competed for their first time up at Marshall and Sterling Finals in the CH/AA jumpers and he took good care of her jumping the fast track. Prior to this he competed locally in the Level 0 and Level 1/2 jumpers with his owner. 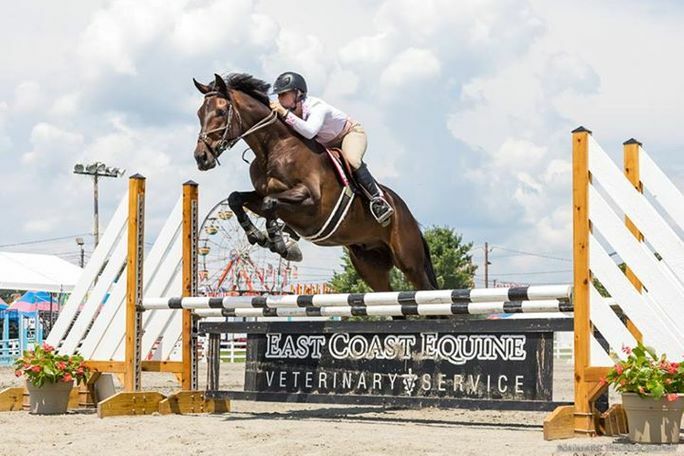 He is an honest, brave and forgiving ride that will always jump around in any ring. 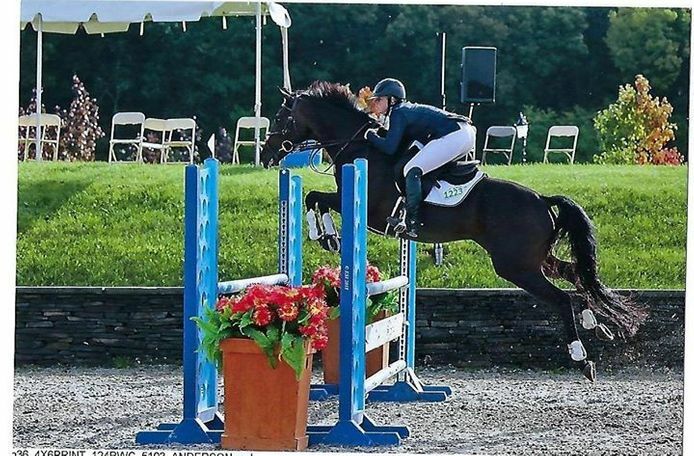 He is a great confidence builder and a great partner for a rider looking to move up to the high ch/aa jumpers. Aladdin is sadly offered for sale as his owner is entering grad school and can no longer keep him.